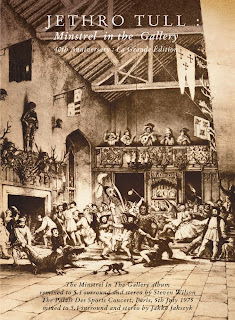 Minstrel in the Gallery (1975) was Jethro Tull’s follow up to the fantastic War Child release from the previous year. For this listener it was a time of discovery for all kinds of rock music and I remember clearly playing the vinyl version of this release quite often. I particularly enjoyed the opening title track when the bass kicked in then the guitar began to lead the way. This was Jethro Tull in their prime doing what they knew best. They had quite a run in the 70s and this album kept the train rolling right along. 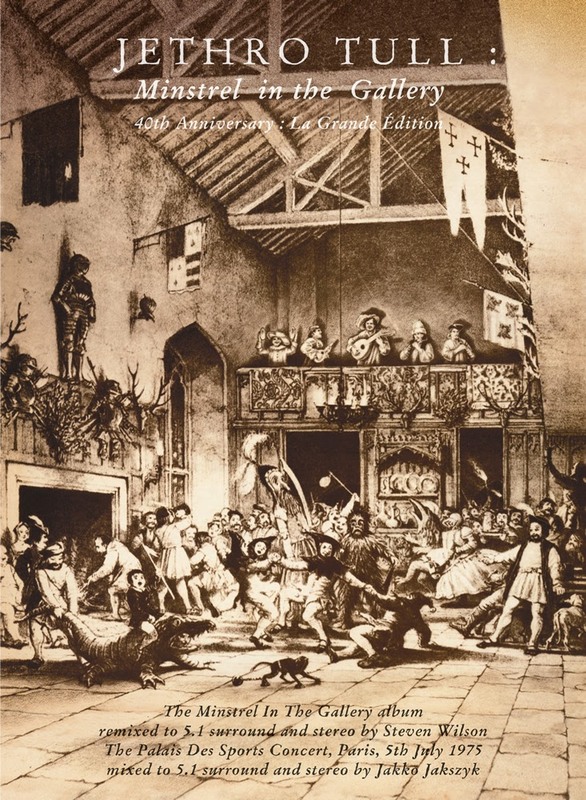 The second disc features a live recording of Jethro Tull performing at the Olympia in Paris on July 5, 1975, a few months prior to the release of Minstrel In The Gallery. During the show, the band played songs from several of its albums, including War Child and Aqualung, as well as an early performance of “Minstrel In The Gallery,” which is superb (note the live video provided here for your pleasure). The live performance was mixed to 5.1 and stereo by King Crimson guitarist Jakko Jakszyk. This 40th anniversary book style version of the original album includes two CDs and two DVDs with seven bonus tracks, six previously unreleased and two mixed to 5.1 surround, and all in stereo by the resident remaster king Steven Wilson. The album expansion includes the B-side “Summerday Sands,” several studio outtakes, and alternate session material recorded for a BBC broadcast. My favorite tracks were and still are ”Minstrel In The Gallery,” Cold Wind To Valhalla” and “Baker St. Muse.” These tracks in particular are the core sound of the band and do quite a wonderful job of showcasing the talents of each member. The complexities and nuances somehow come together to make sense while pointing to stellar musicianship and consistently interesting song writing. They had the knack of taking pieces of the past and applying it to modern day life. It is Mr. Anderson’s wink and a nod to the days of kings and court jesters and how we still have those in this day and age however in a much different context. I think what is most exciting about these 40th Anniversary editions is that it serves as an ongoing journey through the history of Jethro Tull in more detail than any music fan has had the pleasure of enjoying before. The 80 page meticulous recollection of the recording sessions and such will bring you right back to that time. The additional tracks and various versions of the album and the concert help to make this the ultimate Minstrel in the Gallery package thus far. So it’s definitely about the journey and not the destination when it comes to these jam packed musical treats. The band was never stronger in this decade in my humble opinion, which I keep on stressing in all of my coverage. Ian Anderson has carried the torch to this day bringing us new music while celebrating the music that got him to where he is today. Although Anderson has always been the main cog in the wheel we all get an up close look at the JT family tree during each recording. The DVDs feature the DTS & DD 5.1 surround mixes as well as the 96/24 PCM stereo mix and and an eight and half minute film of the band recorded in Paris on 6th July 1975.